“I reckon you just about gave up expecting to hear from me ever again, and I apologize. 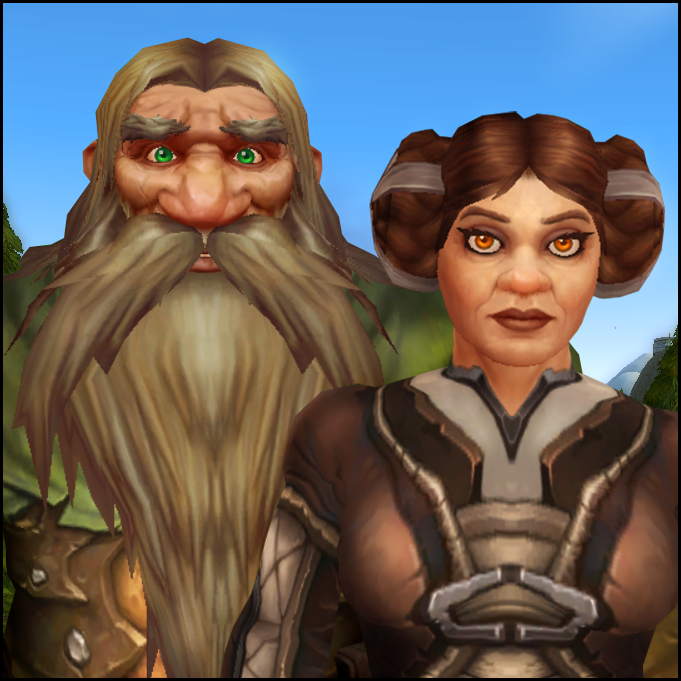 I have been busy every second since Widge and I stepped through the portal from the Isle of Thunder to Ironforge, but that’s no excuse: If I couldn’t get away to see you (I couldn’t, although Khaz knows I tried), I should have at least written you. “Widge and I captured a Mogu, creations of the Titans, like us, but they know all about the Curse of the Flesh — and how to recreate it. Widge and I wrestled one through, although we lost Kazmo. I’m hoping he found someone to take care of him. “No sooner had we arrived in the Hall of Mysteries than the damned Mogu got loose. I don’t reckon he could have gotten far, but they’re an evil and crafty bunch, and Widge and I were taking no chances on the kind of mischief he could get into, and tore after him. “The commotion drew the attention of the guards, but not Bronzebeard or even Wildhammer, but Moira’s own personal bodyguard, on their way to a council about a troll incursion into Dun Morogh. You probably know more about that than I do; they took our Mogu prisoner and told Widge something about Dalaran being on the move from Northrend, and he dashed off. I haven’t seen him since, although he did make sure word got to Ulbrek Firehand to reunite me with Frostmaw. The bear’s just starting to forgive me for my long absence. “As for me, there was some nonsense about my ‘talents are best needed at the front,’ and I found myself portaled off to Durotar, a place I never wanted to see again after the war in Ahn’Qiraj. But this time, it’s not another damned bug hunt: This time, we’re going after the Warchief himself. “It seems almost impossible to believe. Our world has been devoted to war, ever since the orcs came through the Dark Portal when I was a boy. Our son knows no world without the Horde. But once we kill Garrosh Hellscream, who knows what will happen? “The marines on the Alliance ships say that the trolls are in open revolt against Hellscream. When he falls, it’s hard to imagine the orcs, trolls and tauren staying united. Whether there’s a Horde civil war or the three nations drift apart, it seems like the Alliance-Horde war will be over, once and for all. Sure, there’s still the Forsaken to worry about, but without the might of the Horde behind them, we should be able to bottle them up north of the Thandol Span or, if Khaz smiles upon us, west of Thoradin’s Wall. “In any case, there’s one last battle to fight, and I’ll be home soon, once and for all. Peace for Khaz Modan is at hand.